We all know how stressful (and expensive) holiday shopping can be. If you’re like me you’re still scrambling to find the perfect gift for that special someone in your life whether it be a family member, a friend, or a significant other. I decided to put together some of my favorite and easiest crafts that make great gifts for everyone. 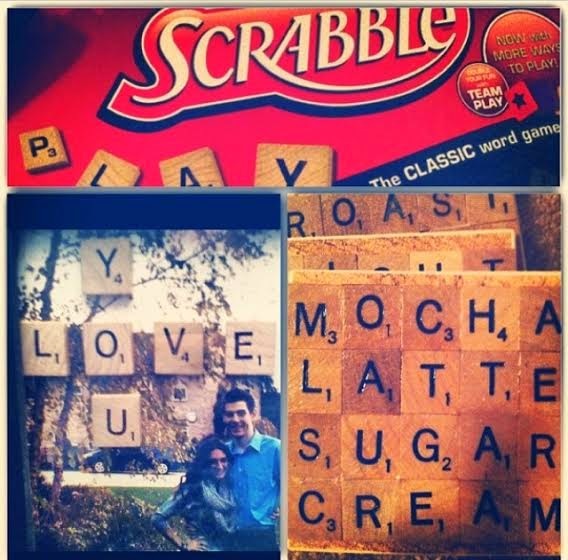 I bought a Scrabble game on sale and used the letters to make a picture frame for my boyfriend and then bought plain coasters and glued the letters on for my mom. I bought a picture frame from Walgreens (I would recommend doing more of a shadow box so the letters fit easier), and then just hot glued the letters onto a picture that I had printed. For the coasters, I went to Dollar Tree and bought plain brown coasters and hot glued the scrabble letters on to make different words. I then used Mod Podge (Glossy Finish) as a top coat so the wood letters wouldn’t get ruined if a wet drink was placed on them. If you need a gift for a friend or someone who loves cooking, baking, or just moved into a new apartment/home these DIY Anthro spice jars are perfect. 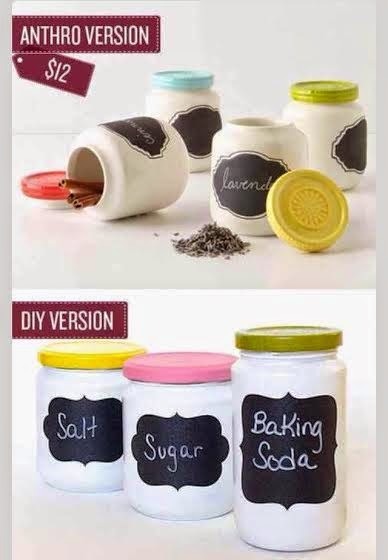 You can simply use old jars, tins, or canisters and spray paint them white and do the lids different colors. You can buy the chalkboard labels at any Michael’s store or you can buy chalkboard paint and make your own design. One of the best gifts are the personalized ones that are also useful. 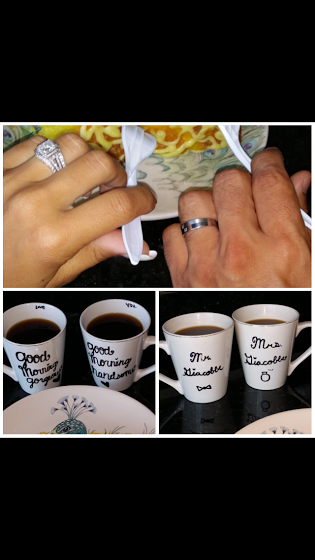 I made my sister and her husband coffee mugs because they are big coffee drinkers and they were newly engaged. I bought cups from Dollar Tree and then used a Sharpie to decorate them and then baked them in the oven at 350 for 30 minutes (make sure to put them in the over before you pre-heat it so they don’t crack). If you’re looking for the perfect gift for your family or mom I think these little village jars are adorable. You can go to HomeGoods, Marshall’s, or T.J. Maxx and find an assortment of apothecary jars. You can get the fake snow and Christmas figurines at any Dollar Tree. I hope these gift ideas can help you during the holiday season and are also a little easier on your budget.